Visit the First Division Museum's newest exhibit! 29 volumes of First Division WWI battle records have recently been digitized. Search our online collection of digitized versions of original 1st Infantry Division materials. 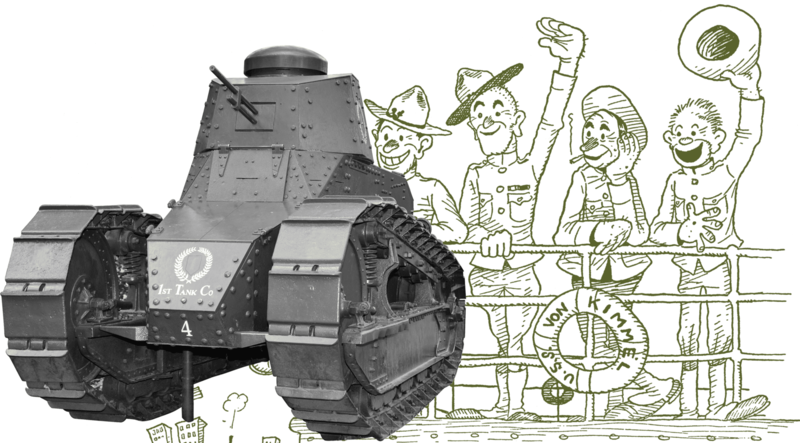 Take a look at our online exhibit to explore our complete collection of tanks and artillery pieces dating back from World War I to Desert Storm and Desert Shield. 2,500 square feet of engaging, post-1970s combat and peacekeeping involvement. Learn about the beginning of the First Division and how it has shaped American history. Come tour our collection of restored World War II-Era Instruments of Combat. What is the Big Red One? 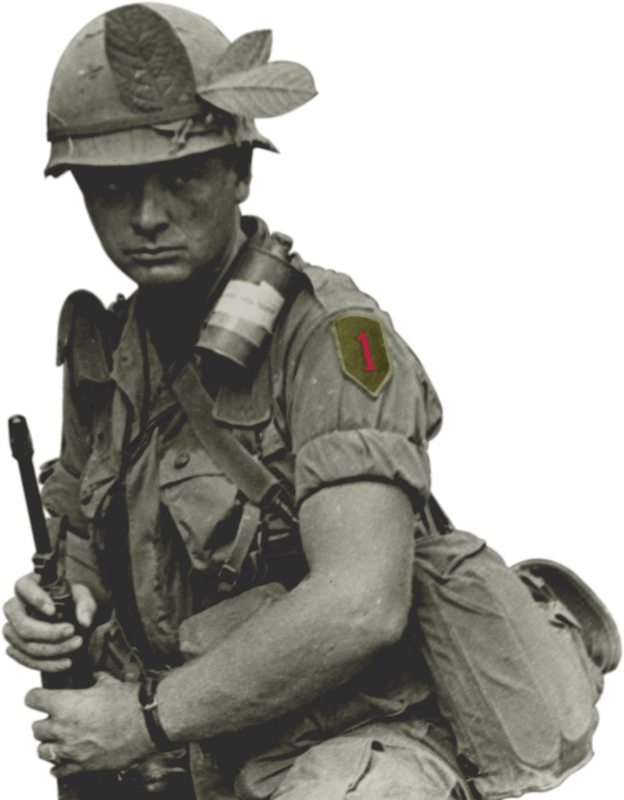 The 1st Infantry Division of the United States Army, nicknamed “The Big Red One,” was the first unit to deploy and engage in battle during WWI, WWII, and Vietnam. 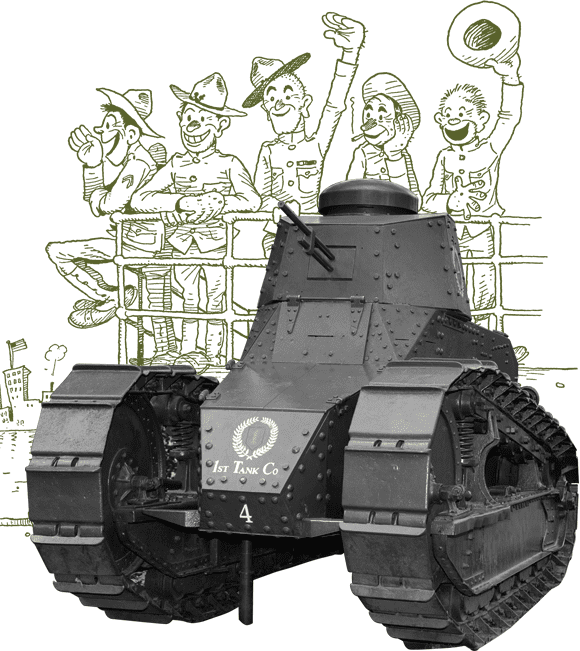 Established on June 8, 1917, the First Division has taken part in nearly every American War and is the longest continuously-serving division of the US Army. Excite, enlighten, and educate students and groups through guided tours in First in War and Duty First. 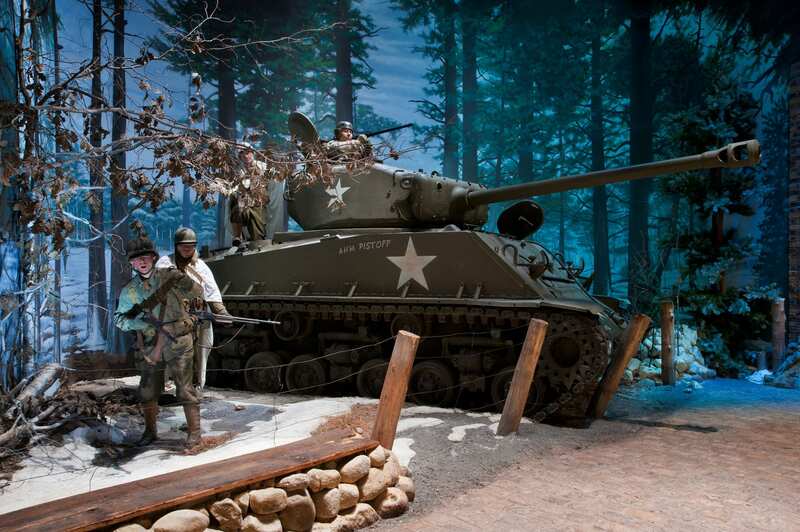 Explore America’s military history with life-size dioramas, interactive exhibits, and rentable classroom resources.